Both the Comio S1 Lite and C2 Lite will be sold via offline stores and are priced at Rs. 7,499 and Rs. 5,999 respectively. 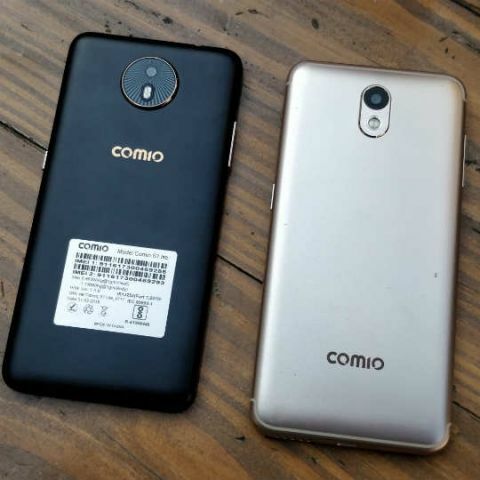 Comio India launched two new budget smartphones today which according to the company are focused towards the young buyer. The company announced two new phones, the Comio S1 Lite and the C2 Lite, which are priced at Rs. 7,499 and Rs. 5,999 respectively. Comio has partnered with Jio to offer cashback on the two phones of Rs. 2,200 (in Jio wallet), which will make the effective MOP of the new phones even lower. To sweeten the deal even further, Jio recharge plans of Rs 198 and Rs 299 will be offered at Rs 148 and Rs 249 to Comio customers. These plans will come with 56GB and 84GB of data with unlimited calls, messages, and roaming. The Comio S1 Lite and the C2 Lite are powered by tried and tested MediaTek 6737 SoC. It is a 1.3GHz quad-core chip which we have seen various budget phones in last three years, including previous Comio devices such as Comio C2. The more affordable Comio C2 Lite sports a 1.5GB RAM along with 16GB of storage. The S1 Lite, on the other hand, has a 2GB RAM and 32GB of storage. Both devices feature a 5-inch IPS LCD display with HD resolution and are available in three different colours each. On the optics front, the Comio S1 Lite has a 13MP rear camera and an 8MP selfie camera with flash. The Comio C2 Lite, on the other hand, has an 8MP rear camera and comes with a 5MP front-facing camera with flash. Both phones a unibody plastic body and run on Android Nougat out of the box. The Comio S1 Lite packs a 3050mAh and the C2 Lite has a 3900mAh battery pack. At the launch, Mr. Sanjay Kumar Kalirona, CEO & Director, Comio Smartphones said, “India is a growing market with huge potential and infinite possibilities. We are thrilled to bring to our customers our latest offerings - Comio S1 Lite & C2 Lite. They boast not only of an elegant design and camera but also superior battery life. The Lite series will prove to be an all-rounder. Comio believes in delivering unrivaled products with unbeatable value to all consumers”. Talking to Digit, Kalirona said that the company is growing and by next year will set up an R&D center in India. He mentioned that that at least a group of 20 people will work on localisation and other UI optimisations for its upcoming phones.